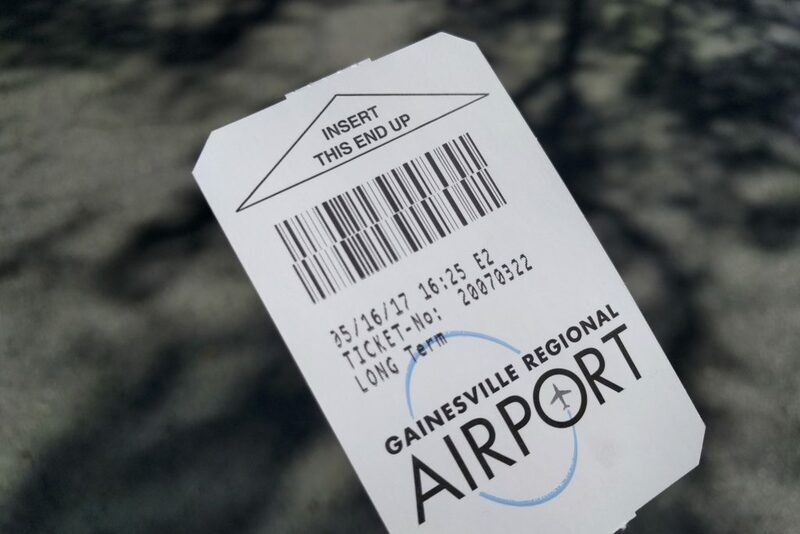 About $49,000 in cash is missing from the Gainesville Regional Airport parking lot payment system, airport employees have discovered. What airport management does not know is where the money went. Airport chief executive Allan Penksa said the airport’s accountant in late February noticed a discrepancy in the cash that should have been collected from the parking lot’s automated payment system. The system works like this: a person parking at the airport pushes a button to get a ticket, keeps the ticket, and then feeds cash or, more commonly, a credit card into a machine when they leave. 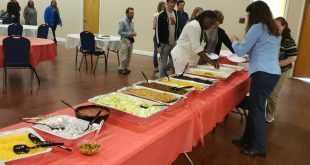 Penksa said he was told of the missing $49,090 about a month later, and he said employees tried in vain during the following month to determine where the cash would have gone. 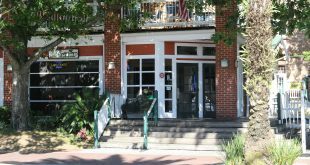 By late April, according to emails obtained through a public record request, Penksa decided to tell the airport’s attorney, plus the eight members of the Gainesville-Alachua County Regional Airport Authority, a board that governs airport operations. The board holds public monthly meetings, though Penksa said he decided to inform them by phone instead of in public. About a week after he told the board members, he contacted the Gainesville Police Department. A GPD spokesman could only confirm there’s an open investigation into the missing airport money and not whether there are pending charges against any current or former employees. Paul Adjan, the airport’s former facilities manager, was fired this week. He told WUFT News a police detective informed him Wednesday morning that GPD plans to recommend to the state attorney’s office a charge of grand theft against him. Penksa fired Adjan Wednesday afternoon. Adjan, 64, told GPD he did not take the money and the revenue shortfall is a result of an automated ticketing system purchased in July 2015 and installed later that year at a cost of nearly $1 million. He deems the equipment to be faulty; a vendor, HUB Parking, sold the equipment for $169,000 to the airport through a contractor. HUB has since dealt with at least 30 separate technical problems in the Gainesville airport lot. The missing $49,090 represents a fraction of the parking lot’s annual revenue — $1.5 million in the 2014-15 fiscal year, per an audit — but parking lot payments are the airport’s largest revenue source. Adjan and other parking lot attendants said HUB’s system frequently fails to dispense tickets and collect payments from customers, sometimes allowing them to leave the lot without paying for short or long-term stays. Penksa said that doesn’t happen often enough to lose $49,090. Customers who experience technical issues with the payment system must now press a button to call for help at the gate. 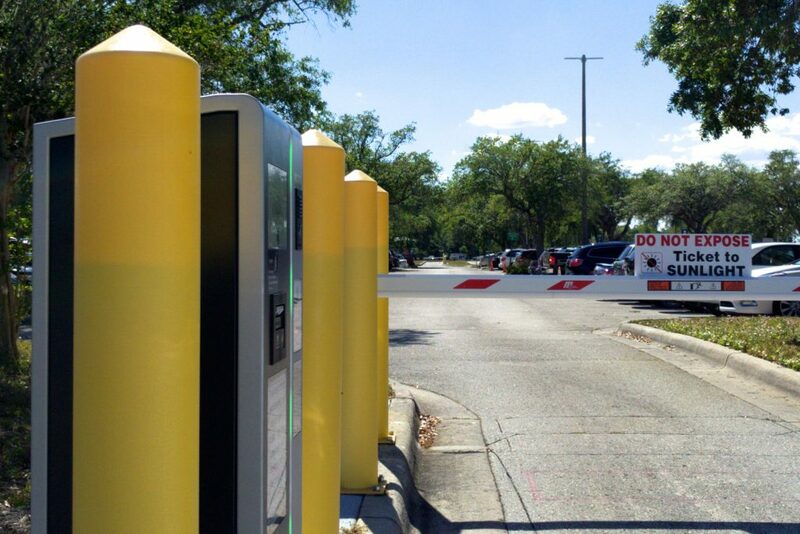 Prior to October 2015, airport parking customers paid a human at the booth when they left. 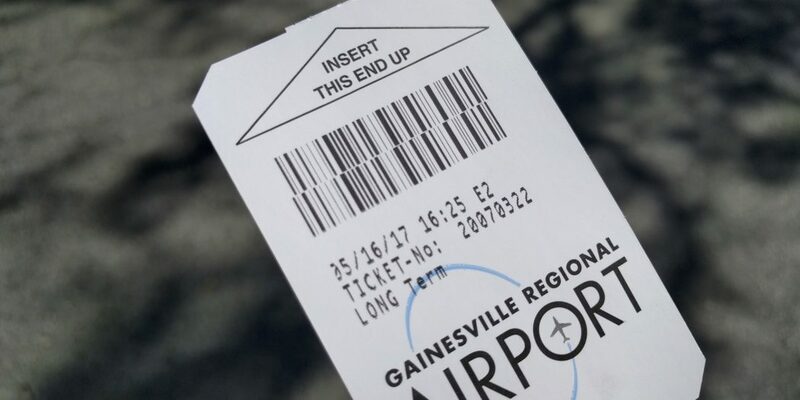 While installing the machine ticketing system cost more than $920,000 (a Florida Department of Transportation grant paid for half), the airport’s parking lot expenses have dropped from about $223,000 in 2014-15 to a budgeted $119,000 during the current fiscal year, which ends in September. “In between flights, we have to pay folks and they really don’t have much to do,” Penksa said. He said “dual-role” janitors now help people who struggle with the payment system. 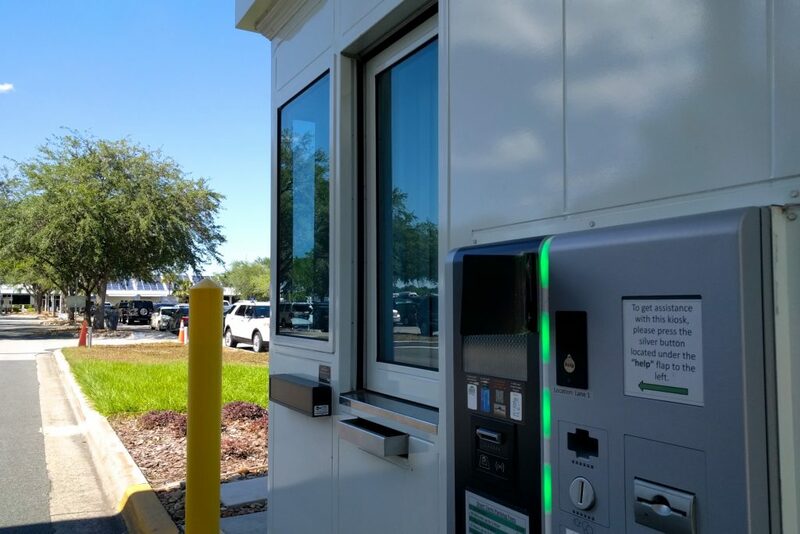 Airport employees also noticed shortly after installation that HUB’s machine couldn’t read tickets left on a car dashboard if they were exposed to the sun. Employees installed signs at each entrance gate warning customers of this problem. Messages left for the HUB help desk manager, Steve Mathieson, and the company’s marketing department went unreturned, so it cannot be said whether or not such glitches are common at other airports, including 12 in Florida that use HUB. Opening the machine that holds the cash requires multiple keys. When the airport installed the system in late 2015, Penksa said, he verbally told Adjan and another employee to develop a protocol for who controls those keys. “That system was eventually circumvented,” Penksa said, though he didn’t explain how. He said he regrets not immediately creating written documentation. 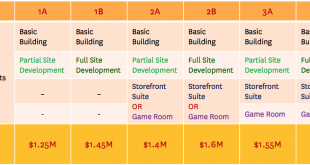 A May 10 document — “parking lot key and cash controls” — spells out who can access what keys to the cash and when. At least two people, for example, must witness all cash removals. Previously, Adjan helped to remove the cash safe and took it to another employee for counting and depositing. He said he has provided Gainesville police with two years’ worth of bank statements and submitted to a lie detector test. Adjan’s annual airport salary was $55,000, he said, and he was told he will be paid for the 100 hours of leave time he had saved up. He said he believes Penksa is making him a scapegoat for the missing money. Adjan is waiting to hear from the state attorney’s office about whether he will be charged before deciding to hire an attorney or to file a wrongful termination lawsuit. 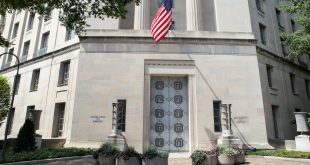 A spokesman at the state attorney’s office for the Eighth Judicial Circuit said Thursday the office had not yet received a sworn complaint or other recommendation of charges against Adjan from GPD. Besides its monthly meetings, the Gainesville-Alachua County Regional Airport Authority also holds periodic committee meetings. The finance, audit and operations committee meeting is Monday at 2:30 p.m. at the airport’s board room. The committee will discuss a draft of the 2015-16 fiscal year audit, which Penksa said makes note of the missing $49,090. Kinnon Thomas chairs the board. He said the revenue loss and the number of technical issues are troubling. Previous Puerto Rico Votes To Become 51st State, But What Does This Mean?